Virtual Reality could be the next computing platform but is immersive media more compelling than regular video viewed through a fixed rectangle? Along with Magnifyre, StoryUP released a case study that has some interesting findings about CPM and CTR on 360 video. According to Immersive Media, VR video increases time spent watching by 5 times, viewing frequency by 6 times and an increase in sharing by 7 times. In StoryUP's street team interactions, we're seeing these statistics play out in the real world. People will take off their headsets after more than 7 minutes watching an immersive story and say...."can I watch that again?" Because the video is all around them, they're afraid they might have missed something. Jack Silverstein, editor and Chief at the New York Times, said recently at a SXSW 2016 panel that the average view session on the NYT Google Cardboard app was 8 minutes. Silverstein went on to say more than 60 percent of views on the app were in Google Cardboard. It's not just for gamers. Some VR enthusiasts are 80 and 90-year-olds. 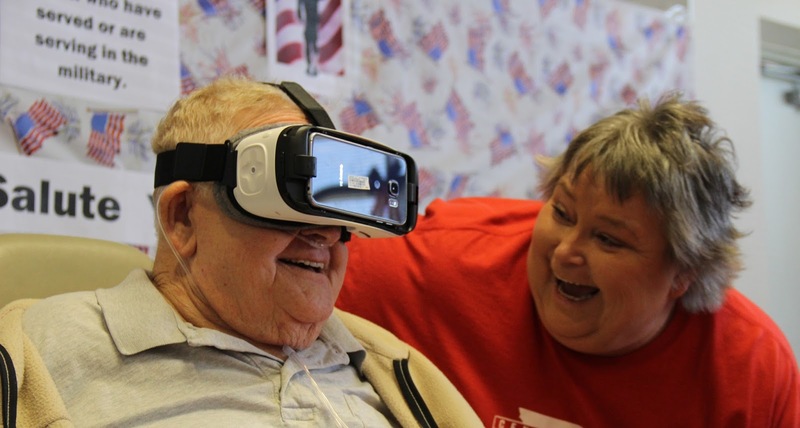 StoryUP has a program called "Honor Everywhere" which shares Virtual Reality with terminally ill and aging Veterans who aren't able to physically travel to see their World War II memorial in Washington, DC. 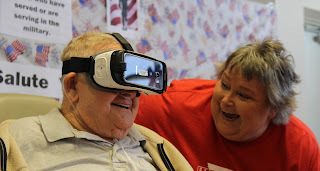 We bring VR to their homes, assisted living centers or hospitals and the Veterans are able to feel like they're traveling on an Honor Flight to the WWII Memorial. If you have a cardboard or headset, you can also share Honor Everywhere with a Veteran by downloading the free Jaunt app. We're constantly amazed how the greatest generation adapts so quickly to the technology. They tell us it's just like the old viewmasters they used during World War II. 3. The "internet" is no longer flat. Just as brands had to make their sites responsive for mobile, so too will they also have to make them responsive for VR because the "internet" is becoming a place you step into. Some VR creators are already ditching the "flat apps" in favor of VR mobile sites built with Web VR and viewed in 360. Most of these stories are consumed in a seated position right now but with headsets like the new HTC Vive out in 2016, it's now possible for more consumers to walk around the room in Virtual Reality with what's called "room scale VR". 4. Headset Not Always Required: You don't necessarily need a headset to watch a 360-degree experience. You can view the video outside of a headset by using your cursor to drag around the screen. You can also use your finger to swipe around the video on your mobile device. If you don't want to use your hands, turn your body and the video turns with you. 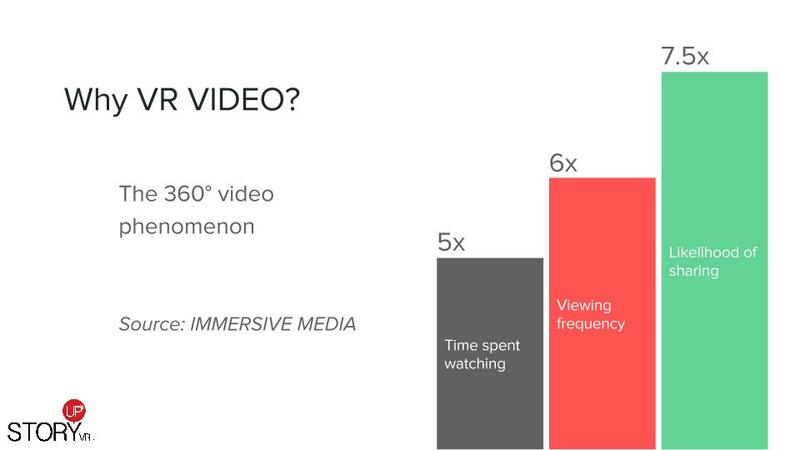 It's not the same effect as feeling like you're inside the video but for now at least, that's how the majority of your audience could be viewing your videos...outside of a headset. If you want a glimpse of the depth of the upcoming 'metaverse', read the book "Ready Player One" by Ernest Cline. Stephen Spielberg signed on to direct the movie. One theme of the book is how people are sucked into VR to the point of losing touch with the real world. While VR could be seen in the future as leading to a decline of a shared human experience, I see it differently. VR is the next evolution of flat video chat. Skype, Hangouts and FaceTime reconnected the world face to face in real time. VR is no different. In shared spaces like AltSpace VR and High Fidelity, we can talk to real humans live in a virtual world. These spaces are also becoming places to consume content, shop and share information. In the flat world, brands sometimes rely on view counts or time spent watching as video metrics. 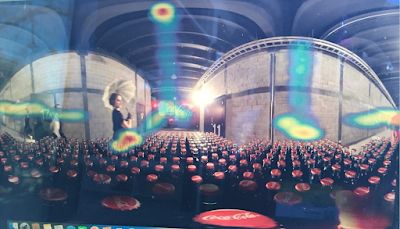 In VR, they now have a 360 heat map and even an emotion map that gives clues as to how the immersive experience makes a person feel when looking at an object. Thrillbox and Retinad are just two analytics platforms tracking exactly what people are watching as they look around the sphere. In the video box to the left, Thrillbox CEO Benjamin Durham explained to RJI why VR analytics have to go beyond just gaze tracking. With more data, brands would have more fuel to hyper-personalize products. "The potential datapoolooza could dwarf the number and kind of data points that marketers now acquire from websites, mobile apps and other sources," Scott Rayden of 3Q Digital told Marketing Land. The data deluge could also help us Journalists and Brand Journalists tell better stories by better understanding which storytelling inputs are most effective in directing audience attention. As advertisers already struggle to compete for the audience's attention, will the audience want to see logos while they're immersed? Or as is the case in the gaze heat map below, will they just want to look at the pretty girl. Want to tell your brand story with immersive video? The tools for immersive storytellers are getting easier thanks to talented creators who are bringing their software, hardware and content out of stealth mode. We're already using half a dozen different software programs to create VR video so heck...why not one more? At NAB 2016 in Vegas this week, by far the most interesting new tool I saw was at a booth in the back of the VR/AR Pavilion. Thomas Wallner of Deep Inc. has developed a software tool that essentially directs user attention in VR. It's called "forced perspective". If you're like me, you've struggled as a storyteller to use audio cues, text and narration to try to get the viewer to look where you want them to look inside the sphere. At StoryUP, we literally put our stories through "clinical trials" to try to guess where the audience will look the most...then we adjust the shots if they're looking at the lights when they should be looking at the ground. With Liquid Cinema, there's no guessing. The storyteller and the viewer both have their hands on the wheel with forced perspective on cuts and gaze directed CG's. Thomas explains how it works. There's some debate in storytelling circles about whether we should even be directing the viewer's attention but if you've ever watched a story where the "arc of attention" wasn't clear, you know how frustrating this is to the viewer. Right now, Liquid Cinema is a standalone tool but a gal can dream that one day it will be a plugin in our editors. For us, not having to bake in our CGs will be one less step in post. If you get a chance to watch Thomas' feature "Edge of Space" that he shot with Joergen Geerds, you can see Liquid Cinema in action. How might you use this new tool in your storytelling toolkit? to better understand where homeless Veterans sleep. At first blush, telling stories in 360 sounds liberating as it appears you're operating without a frame. This new found freedom evaporates quickly when you watch your first story in a headset and realize some of the same old rules of attention still apply. Unless your viewers have eyes in the backs of their heads, there's still a frame equal to the size of someone's field of view. It's just a moving frame now. It's no longer "fixed". It's panning inside the sphere as the viewer turns her head. Some VR creators don't want to direct the audience's attention; they want users to decide where to look. While this concept, in theory, sounds liberating for the viewer, we've found in our own personal experiences, not directing attention on a basic level frustrates some people. They take off their headsets and say "the only problem I had was I didn't know where to look." Some people say the audience needs to learn how to properly watch this new kind of immersive content to look for attention cues. To me, it's up to the storyteller to indirect the audience's attention with a new set of subtle tools that resemble a rubber mallet more than a hammer. At StoryUP, we have street teams that conduct unscientific "clinical trials" to gather information about where the user looks. Before our story is published, we ask dozens of people to don headsets and watch our videos. Then, we watch them watching the video. Did they see the elephants underneath the helicopter? Did that slight camera movement make them feel sick? Did they want to take off the headset before the end of the story? VR analytics tools like Thrillbox and Retinad are already making our unscientific video trials easier by showing us exactly where our viewers look inside the sphere. Wistia also has a 360 player with heat maps that are providing storytellers with valuable information. With new VR inputs coming out all the time, storytellers now have even more tools to test. Here's the latest rundown. How do you ensure viewers are seeing the action you want them to see? We use narration, text, lighting, hotspots and sound to softly direct the audience's attention. If someone were to clap their hands behind you right now, what would you do? Most likely, you'd turn around. It's the same concept in immersive storytelling. The sound is spatial or 3D and can be mixed at different locations inside the sphere. When I worked in radio back in the 90s, I used to edit audio tape with a razor blade and masking tape. So to be talking with sound designers about placing audio in a game engine so you can hear it on the ground sounds complicated. Just when storytellers have conquered 3D video, now we're having to tackle how to capture and mix 3D audio. If you'd like a deep dive, StoryUP recently hosted a Hangout with a group of 3D sound designers to explain the differences between positional audio, binaural, ambisonics and head-related transfer function. Splicing together audio reels with masking tape sounds really good about now! Vestibular Headphones are another input Samsung is testing for VR storytelling. These Entrim 4D headphones are said to use nerve waves to manipulate your vestibular system and move your body in sync with the video. I kid you not. Essentially, the video moves you. Skeptical, I tried Entrim at SXSW and was shocked to find my body was actually being swayed to mimic the race track I was seeing on screen. In this video, you can see the moment Samsung engineers turn on the device. The headphones are not available to the public yet. I left the demo with lots of questions. Will Samsung have to do clinical trials first? Another future input for VR storytellers is aroma. 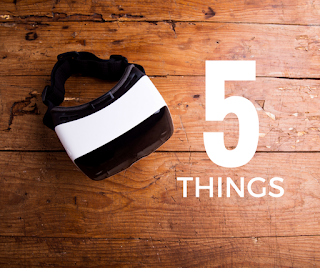 Before you roll your eyes, you should know several brands have already combined smell-o-vision with virtual reality. Budweiser allowed VR viewers to smell its beer. VR helmets are coming out on the market that include different aromas, water mists as well as touch. I recently watched a pitch competition for a VR haptic glove which uses air pressure to simulate the virtual feel of objects. Could I envision ever using haptics in our stories? Yes! In our most recent story in Zambia, we were standing atop Victoria Falls in Africa. The cliff on which we stood vibrated due to the force of the surging water. It would be incredible to experience that vibration on my feet in VR. Haptics will be another tool for storytellers to indirect attention. If you put out your hand and you feel a wall, you might be influenced to turn the other way. What tools are you using to indirect attention in Virtual Reality? We would love to hear about the outcomes of your own clinical video trials. http://www.story-up.com/.